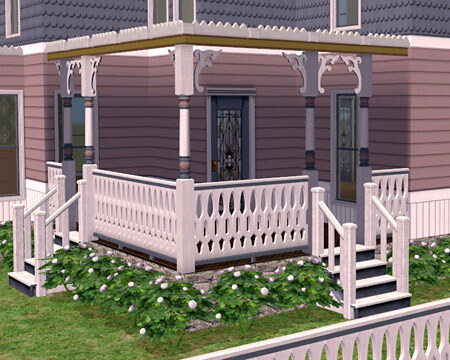 The Textures in this set use the same base objects as my victorian colors set 6: 4 brackets, 2 posts, 3 doors, 2 windows, deck stairs and a baluster gate. The fence in this set is not a texture but an object. The 2 posts and the 4 brackets come in 2 different textures mixing the trim color with the base and accent colors. 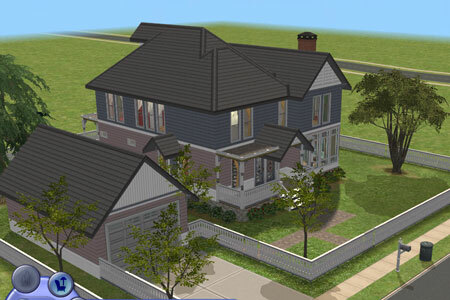 The house is Nightlife only and is half landscaped. Walls, floors courtains and other objects are from the game. 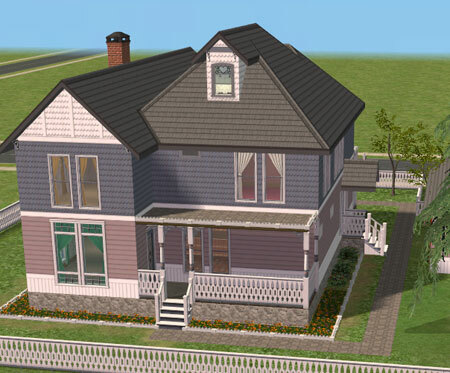 The rest are the objects I made previously for the victorian colors cottages. 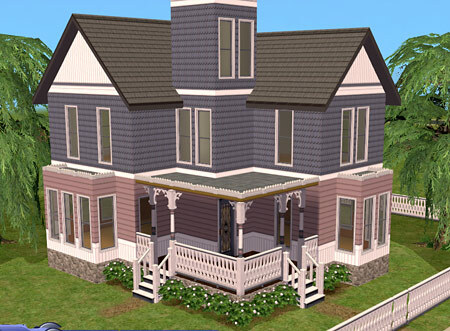 Then download the Victorian classic colors set 5 above. Don’t forget to download too the walls. 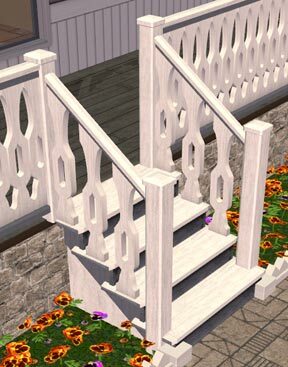 The house has been updated with the new fences and deckstairs. 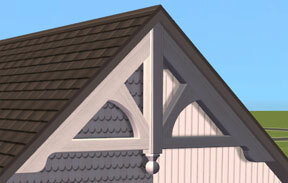 I would like to convert your brackets and gables to ts4? Can I share these creations if I give you credit?